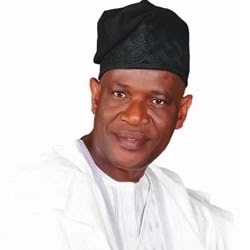 Governorship candidate of the Peoples Democratic Party in the October 2012 Election in Ondo State, Chief Olusola Oke told journalists on Saturday in Akure that the Independent National Electoral Commission (INEC) needs to be completely fixed up before the 2015 general elections. He said this against the backdrop of the admission of the electoral body that it discovered 93,000 illegal injections of names into the voter register of Anambra State. Noting that voter registration may be one of the biggest problems in the electoral process in Nigeria, Oke said that until this problem is fixed, “we cannot be talking of a credible election." “many of the people in INEC are those that had been there since 1999 and who had entrenched themselves in corrupt practices and unless these elements are flushed out through a major overhaul, there cannot be any credible election in the country."